The neat look and also the fashionable end of the earrings indicates the ability and also the aesthetic sense of the craftsmen. The earrings square measure an ideal gift selection for any feminine. 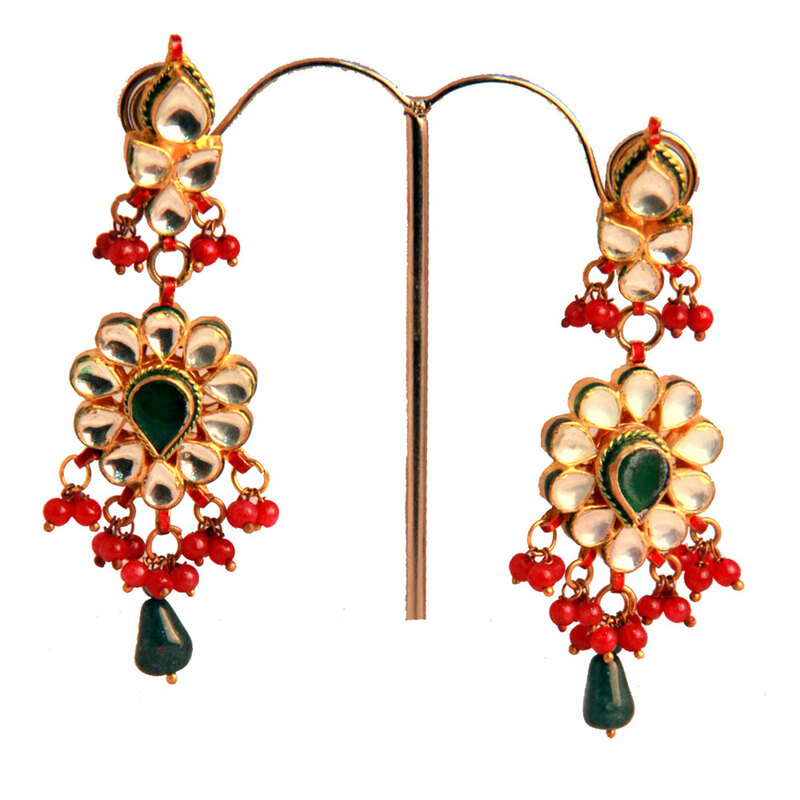 This pair of circular bali style earrings is beautifully decorated with beads and pearls around a green shades background. The neat look and the stylish Read More..finish of the earrings indicates the skill and the aesthetic sense of the craftsmen. The earrings are a perfect gift choice for any female. Show Less..